If you are a business owner, you know the importance of protecting your facility, employees, and assets/inventory. How can you be sure your business meets the proper fire safety codes? In all likelihood, if you’re currently in operation, your building/facility has passed an initial inspection. However, yearly inspections are required and codes are revised every 3-5 years. If you are renovating or adding on to a space you will have to schedule a new inspection. For this reason its best practice to involve an expert from the start of a project to avoid any major hiccups. If you are a business owner, you know the importance of protecting your facility, employees, and assets/inventory. How can you be sure your business meets the proper fire safety codes? In all likelihood, if you’re currently in operation, you’re building/facility has passed an initial inspection. However, yearly inspections are required and codes are revised every 3-5 years. If you are renovating or adding on to a space you will have to schedule a new inspection. For this reason its best practice to involve an expert from the start of a project to avoid any major hiccups. 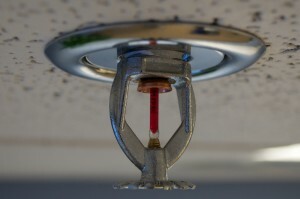 NFPA: Are In-home Sprinklers The New Standard? You’ve probably seen sprinkler heads poking out of the ceilings at your office, a hospital, or other public venue where they are generally a code requirement. But have you ever seen one in someone’s home? Odds are probably not. They are currently not required in private residences, but a new proposed legislation by the NFPA (National Fire Protection Association) aims to change that. 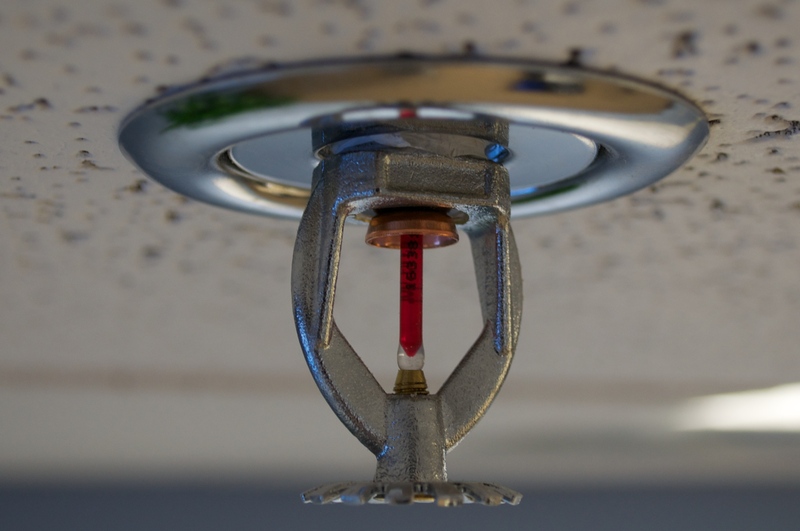 The Fire Sprinkler Initiative wants to make fire sprinklers a requirement in all new construction single and two family homes. All homes should already have fire extinguishers and up to date smoke and carbon monoxide detectors so why would sprinklers be necessary? Let’s find out. 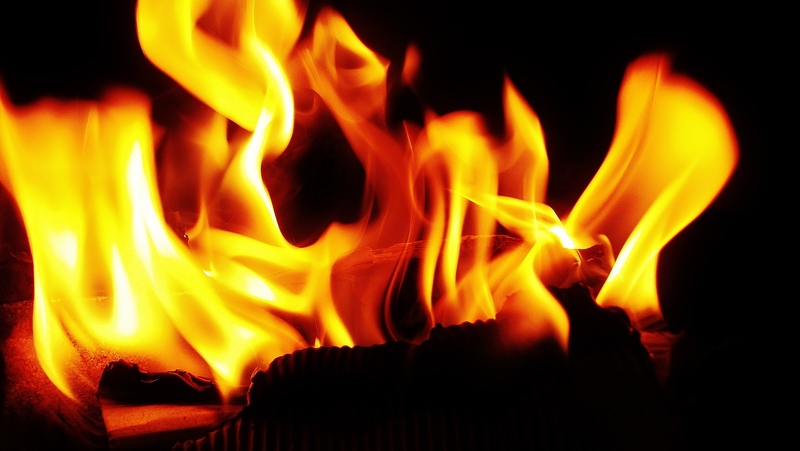 As a security systems provider in central and northern New Jersey for the past 22 years our team at Perfect Connections, Inc. understands the importance of proper fire safety equipment. We provide comprehensive home security systems that include the appropriate fire alarms and smoke detectors. As a society we’ve gone countless years without in-home fire sprinklers, so why the push for it now? Throughout those countless years, there have been countless incidents of house fires that have resulted in severe injuries, even deaths. In fact over 85% of all fire deaths in the US have taken place in the home. Approximately 3000 Americans die every year from house fires. According to the NFPA, having an in-home sprinkler system along with working smoke detectors cuts the death risk by 80%. The 2015 edition of the IRC (International Residential Code) requires fire sprinklers to be included in all new home construction. The ICC (International Code Council) has specified that this requirement will be incorporated gradually over a period of 20 years. States that have adopted the IRC requirements for one and two family homes are California, Maryland, and the District of Columbia. Many other states have adopted the requirements for townhouses up to three stories. Sprinkler installation in new construction homes seems like a no-brainer but not all are so eager to jump on the bandwagon. In fact the NAHB (The National Association of Home Builders) has vehemently been opposing the proposed legislation and IRC requirements since the beginning. NAHB’s communications director, Calli Schmidt in opposition to mandatory legislation has said, “The only way for sprinkler manufacturers to make money is to focus on mandates. Otherwise, they’re not financially feasible.” This has been refuted by organizations for the cause pointing the finger right back at the NAHB saying they’re disregarding the safety of civilians and only concerned with selling homes. This ongoing battle between the NAHB and supporters of the proposed legislation makes it unclear who has the best intentions for the homeowners. Both sides claim profit as the top reason for opposition or acceptance. The NAHB of Virginia purported the sprinkler manufacturers “hijacked” the code writing process in 2008 when they paid for travel expenses of numerous firefighters to attend the ICC meeting. The ICC Appeals Board disputed this stating, “By unanimous vote that there was no material and significant irregularity of process or procedure.” Sprinkler advocates believe in-home sprinklers would save not only lives but substantial property damage and loss. According to the Department of Homeland Security deaths by fire in the United States fell over 40 percent once smoke detectors became mandatory back in the 1970s. The NAHB believes the percent of saving more lives with sprinklers is minimal in comparison to their cost. NAHB members are not against sprinklers as a voluntary measure, but to require them in all new homes would increase the cost of the homes themselves potentially threatening the health of the real estate market especially in times of economic hardship. Whether or not the NAHB’s reasons for opposing the sprinkler initiative hold water, one must look at the facts and evaluate the risks. According to the NFPA fatality rates in homes with sprinklers vs those without is 80 percent less. Do financial costs outweigh the cost of losing a life/lives? No tends to be the immediate response, but no matter how many safety features or preventative measures you take, there is no infallible system or guarantee. That being said, the benefits seem to outweigh the costs. The same holds true for home security systems. Here at Perfect Connections, Inc. we know there is no perfect system, but we provide security systems that have been proven helpful in preventing catastrophe. If you reside in northern or central New Jersey and are still relying on antiquated security techniques, don’t hesitate to call on our professionals. Our experts can provide an in person assessment of your security risks and customize a system that is specific to your individual needs. Engage in the conversation! The links below provide further information on the NFPA’s sprinkler initiative. What do you think about it? Leave us comments/questions below.